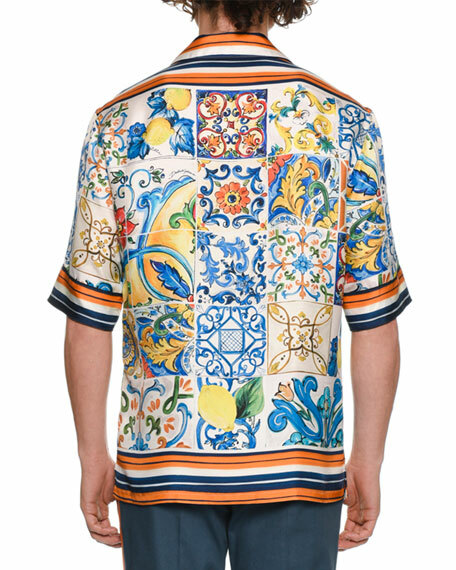 Dolce & Gabbana Mailoica tile-print sport shirt. Designers Domenico Dolce and Stefano Gabbana are the duo behind Dolce & Gabbana, which they founded in 1982. They've been pushing the boundaries of fashion to great success ever since. 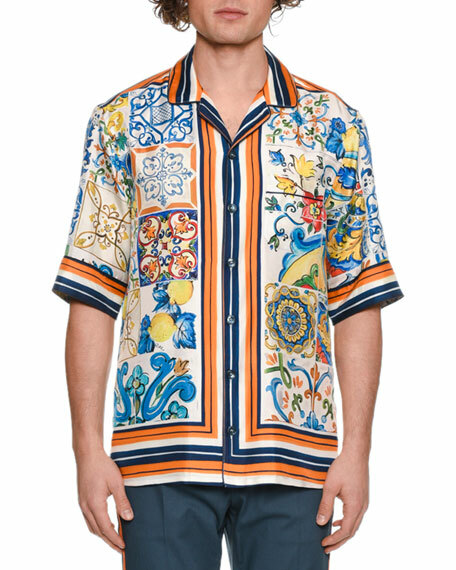 This Italian label showcases sophisticated tailoring in anything-but-conservative looks, making Dolce & Gabbana a favorite of celebrities. For in-store inquiries, use sku #2656378.